We are excited to announce Issue 5.2 of Status / الوضع, bringing you varied, exciting, and fresh content on the Middle East and North Africa, in audio and video, and in both Arabic and English. What’s more, we’re on the brink of some major announcements here at Status and, as you may have noticed, have been publishing continuously since summer. Though we will continue to release and feature content in the form of issues, we very much want to publish material in the interim and keep our website fresh and up to date. In the coming period, you will see a redesigned front page that accommodates this new format of continuous publishing. The official launch of The Nerdiest Show on the Internet is certainly one of the big highlights in this issue and only the beginning of a wave of video content which we will be publishing from now on. 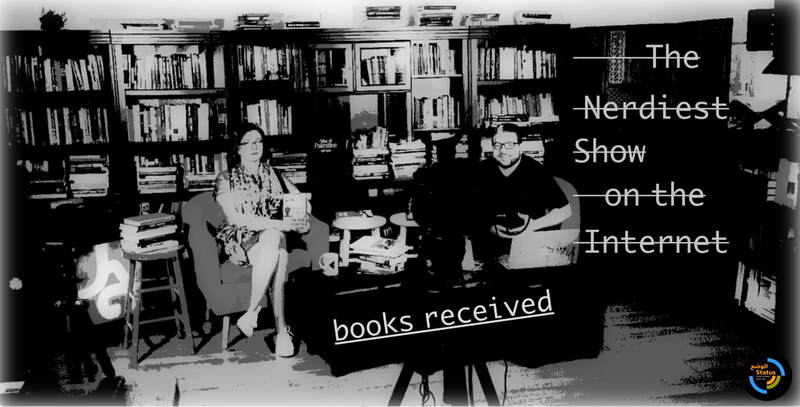 In “The Nerdiest Show: A Glorified Books Received List,” you will learn about a variety of new books received at the desk of the Arab Studies Journal and Jadaliyya. Tune in for a thoroughly nerdy affair and don’t tell anyone you’re doin’ it! Mohamed Ali Nayel’s exclusive interview with Ali Mushaima, who camped outside the Bahraini embassy in London to protest the slow killing of his father in a Bahrain prison. Our partners at Voices of the Middle East & North Africa (VOMENA) contribute a conversation with Rania Abouzeid, author of No Turning Back: Life, Loss, and Hope in Wartime Syria and an insightful conversation with Loulouwa Al-Rachid on the implications of last summer’s election in Iraq. UCLA’s Center for Near Eastern Studies organized a conference addressing the changes in the Middle East following the invasion of Iraq and the Arab uprisings. Even if you weren’t able to attend, there’s now no excuse to miss it as the entire event entitled “Understanding the New Middle East” can all be listened to exclusively here on Status. At George Mason University, Steven Heydemann delivered a lecture on Civil War, Economic Governance, and State Reconstruction in the Middle East; another important event on campus was the one-day symposium “What Next? States, Conflicts, and Policy in the Middle East” - have a listen! Or watch. Status host Raghad Al Makhlouf continues her series of interviews with Syrian exiled artists. This issue features actors Ahmad Kiki, Jihad Abdo, Fadia Affash, singers Lubana Quntar, Hamsa Mounif, and film director Innas Hakki. A new episode of Tadween Talks features a conversation with the author of The Political Theology of ISIS, Dr. Ahmad Dallal. And, in two exciting episodes of our music program, Status Beats, you can learn about the growing rap battle scene in Beirut, Lebanon. As always, a large and dedicated team of hosts, partners, and collaborators helped bring this issue to fruiting. We’d like to thank them for their valuable and exquisite contribution to this issue. In the coming weeks and months, as we continue to publish new content, we welcome our listeners/viewers to reach out to us with any questions, ideas, or submissions for future issues. Enjoy your listening and viewing experience!